The couple celebrated the arrival of daughter Brooklyn Elisabeth last January. 98 Degrees singer Nick Lachey and his wife Vanessa have announced they are expecting their third child next Spring. The happy couple shared the news in an Instagram post on Friday, in perhaps the sweetest baby announcement ever. Their dance moves are more shuffles nowadays, their harmonies harNOnies, but New Kids On The Block have enjoyed a surprising amount of success since returning in 2007 – and, buoyed by that, they’ve decided to take all of their pals from American boy band past on tour with them. That’s right, best start taking your underwear off to throw in advance – maybe buy another pair of underwear too and take them off as well – New Kids On The Block are going on tour with Boyz II Men and 98 Degrees. In fairness to the former, they’ve continued to record way after their commercial heyday of the 90’s, and lest we forget they are the most successful selling R&B group of all time. 98 Degrees though… really!? Not only were they from another generation of boy bands – turning up in the late 90’s as opposed the late 80’s – their chart success was fleeting. Three albums between 1997 and 2000, although we have to hand it to them for seemingly bowing out at the top – a second spot Billboard chart placing for Revelation. However, it’d be far fetched to say anyone had really remembered who they were, never mind miss them. Nevertheless, they join these other two one-time gargantuans of the music industry for a 28 date tour through the US that kicks off on May 31, 2013 in Connecticut, according to The Los Angeles Times. Strap In Your Seatbelts, Boy Band Fans! 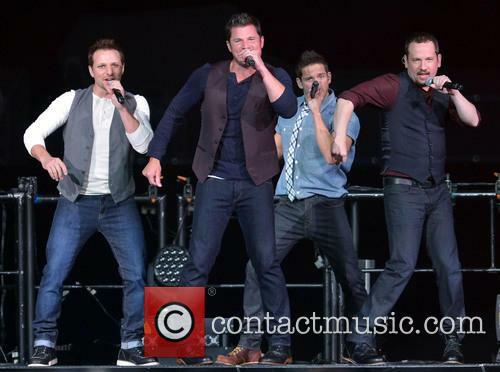 NKOTB, Boyz II Men, 98 Degrees To Tour! 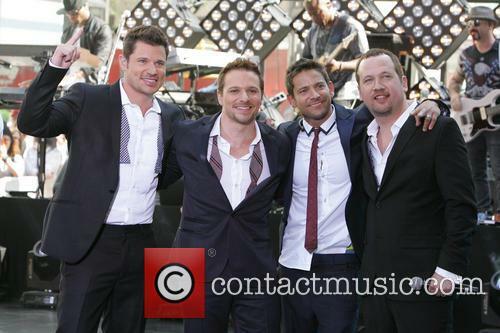 New Kids On The Block, Boyz II Men and 98 Degrees are to join forces for a 2013 tour! The popular boy bands will be bringing the heat this summer, with NKOTB heading the bill on the huge string of dates that kicks off on May 31 in Uncasville, Connecticut. Along with the announcement of the tour, New Kids On The Block will also release 10, their first new album in over four years, on April 2. "It just seems like we are getting better and better," singer Joey McIntyre, 40, tells People magazine "We're excited to get out there, rock out and have fun. We have been doing this for almost 25 years. So it's important that the music and the lyrics speak to who we are as grown men - and the album reflects that." If you enjoyed either of the three bands in their pomp, then you're probably in with a decent chance of getting tickets, considering they're playing in EVERY VENUE IN AMERICA. The long tour calls in Boston, Ottawa, Montreal, Toronto, Cleveland, Pittsburgh, East Rutherford, Washington, Philadelphia, Nashville, Charlotte, Atlanta, Cincinnati, Houston, Dallas, Los Angeles, San Jose and others. Continue reading: Strap In Your Seatbelts, Boy Band Fans! 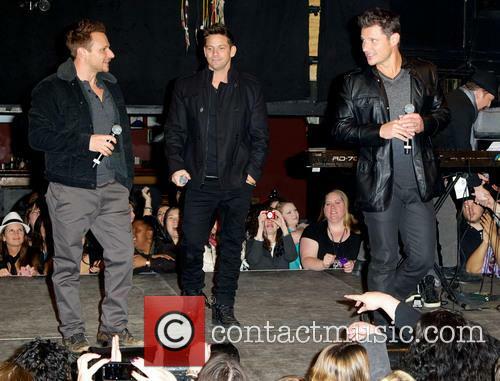 NKOTB, Boyz II Men, 98 Degrees To Tour!